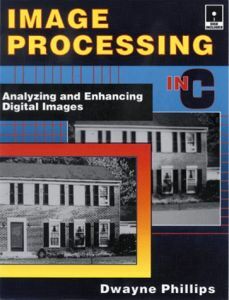 This book is a tutorial on image processing. Each chapter explains basic concepts with words and figures, shows image processing results with photographs, and implements the operations in C. The C code in this book is based on a series of articles published in The C Users Journal from 1990 through 1993, and includes three entirely new chapters and six new appendices. The new chapters are 1) an introduction to the entire system, 2) a set of routines for Boolean operations on images -- such as subtracting or adding one with another, 3) a batch system for performing offline processing (such as overnight for long involved manipulations). The C Image Processing System (CIPS) works with Tag Image File Format (TIFF) gray scale images. The entire system has been updated from the original publications to comply with the TIFF 6.0 specification from June 1993 (the magazine articles were written for the TIFF 5.0 specification.) The text and accompanying source code provide working edge detectors, filters, and histogram equalizers, I/O routines, display and print procedures that are ready to use, or can be modified for special applications. Print routines are provided for laser printers, graphics printers, and character printers. Display procedures are provided for monochrome, CGA, VGA, and EGA monitors. All of these functions are provided in a system that will run on a "garden variety" PC, not requiring a math co-processor, frame grabber, or Super VGA monitor. Dwayne Phillips works as an computer and electronics engineer with the U. S. Department of Defense. He took his PhD in Electrical and Computer Engineering from Louisiana State University. His research includes computer vision, artificial intelligence, software engineering, and programming languages.